50W Eleaf iStick Box MOD have a built-in 4400mAh huge battery. It offers max 50W output and overheat Temp Protection. It will bring you a safe vaping experience. 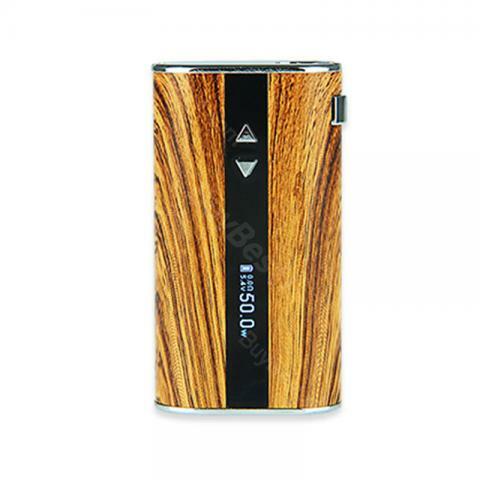 50W Eleaf iStick MOD Battery, a super upgraded edition based on iStick series batteries. It brings more powerful vapor due to the expanded range of output voltage and wattage with 4400 mAh battery capacity. With the additional temperature alarm function, it ensures high-safety even in strong vaping. Perfect for the amount of vaping I do. I have had two Eleafs previously, both which lasted me about 18 months or so before the screws on the bottom became dodgy. My partner has had a range of different batteries over the past few years (all of which were expensive models) and my Eleafs seem to last longer in terms of holding battery charge/paintwork and general quality than his. It is the first time I bought this mod, but it really surprised me, with nice size when holding in hand, the large battery capacity brings more powerful vapor. It also with additional temperature control, very convenient, high-safety. I am really happy with the mod and nice seller. reasonable price, will be the regular I think. workes really well at a fair price. Ce mod est le meilleur que j'ai acheté chez Ali-express, j'en suis vraiment satisfait. Petite taille, longue vie, facile à contrôler la température, j'aime la taille, aime l'écran, même bouton de feu est parfait. Je ne peux pas attendre pour obtenir un deuxième cadeau pour mon père.